It’s important to know whether the money you’ve invested in your social media marketing has provided a return that’s worth what you’ve put in. In this article, you’ll discover five tools to help you accurately and completely measure your social media ROI. 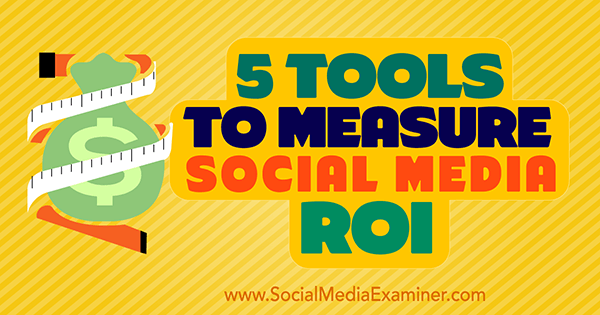 Discover five tools to help you measure your social media ROI. 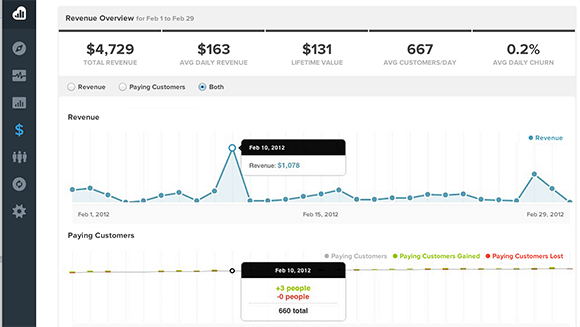 Kissmetrics is an analytics platform designed to optimize marketing success and ROI. It lets you track individuals, groups of similar individuals, and your users as a whole throughout their visit to your site. People are tracked anonymously on their first visit all the way through multiple visits and conversions, and even after they’ve left and come back. It’s a great tool to evaluate customer behavior and ROI. 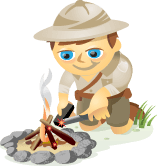 You can create groups of people who took certain actions and evaluate their behavior on your site. 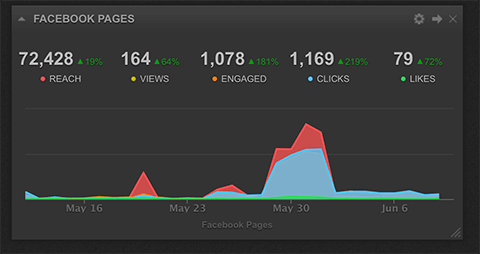 The stand-out feature of Kissmetrics is that it notes when users leave and come back, and what they do when they return. You can track ROI coming from Facebook, LinkedIn, Twitter, or any website, and attribute the conversion credit to the correct social media channel, allowing you to track your entire customer lifecycle more accurately. This, in turn, provides valuable information about ROI, and lets you see which paid advertising sources are actually working and converting. Kissmetrics has detailed revenue reporting that tells you the estimated lifetime value of your customers, the total revenue made within a set period of time, and the average daily churn rate. A free trial of Kissmetrics is available when you first sign up. After that, plans start at $120 per month. A/B testing reports are available with the Power Plan, which is currently $600 per month. While plenty of social media campaigns prioritize sales or on-platform engagement, social media is frequently used to connect with new audiences and generate new leads. If that’s your goal, it’s a good idea to calculate your approximate customer lifetime value (CLV). You can use the Customer Lifetime Value Calculator to find out not only what a new lead is costing you, but also whether it’s worth it. 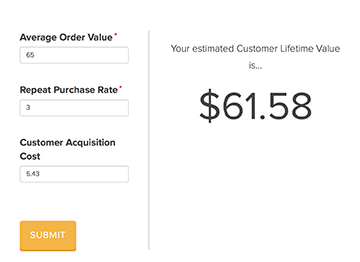 If you’re looking for a tool that provides a really fast estimate of customer lifetime value, the aptly named Customer Lifetime Value Calculator is perfect. With this tool, you can create CLVs for each of your different customer groups. For example, a jewelry store can calculate the value of customers who make big, one-time, high-value purchases like wedding rings, as well as customers who buy a much less expensive charm bracelet, but who come back an average of six times to add charms to the bracelet. By knowing an estimated CLV, you can quickly determine how much you’re willing to spend on lead generation or engagement campaigns on social media. The Customer Lifetime Value Calculator is free and fast. For a more in-depth analysis of CLV, try RJ Metrics’ CloudBI. The tool not only automatically calculates CLV, it will even break the CLV down to show the social media channel that sent you the customer in the first place. RJ Metrics also offers amazing features like churn analysis that gives you insight into your customers’ behaviors, and analysis about marketing ROI as it pertains to customer acquisition cost. 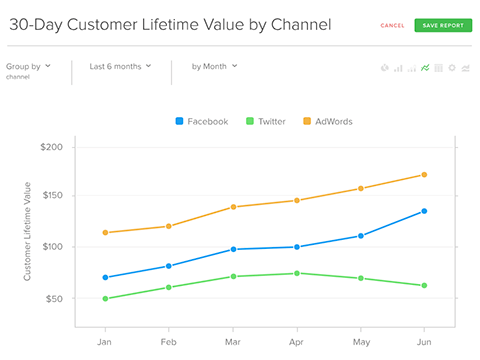 RJ Metrics can help determine customer behavior, an accurate CLV, and ROI. In addition, RJ Metrics will show you the all-time value based on the acquisition source and repeat order profitability from different sources. This helps you decide which social ad platforms are working for you and which to invest in. You can even have reports sent to you on a regular basis. CLV is an important metric when determining an accurate ROI for lead generation and social media campaigns. Cyfe is an all-in-one reporting tool that provides an insane amount of information about how your content is shared across social media and the impact it’s having on your overall ROI. You can use widgets to create multiple customized dashboards where you can see the reporting on Facebook ads, Twitter engagement, Shopify orders and sales, or Google Analytics. The categories of widgets to choose from include advertising, blogging, email tracking, social media, and more. There are a ton of different widgets that provide vastly different information that you can choose to add to your dashboards, giving you all of the information you need in one place. Cyfe has some really interesting social tracking features, combined with detailed ROI and analytics reporting, like their Twitter Mentions widget. With this feature, you can track the number of Twitter mentions on a certain keyword or hashtag. If you run a contest, for example, you can track your designated hashtag to see how far the reach extended and how many people participated. The Twitter Mentions and Search widget shows you recent hashtag mentions. You can track sales, invoices, social media mentions, visits to your site, and expenses quickly and easily. In addition to ROI reporting, Cyfe has widgets that give you detailed information on your social media engagement, including clicks to your site. 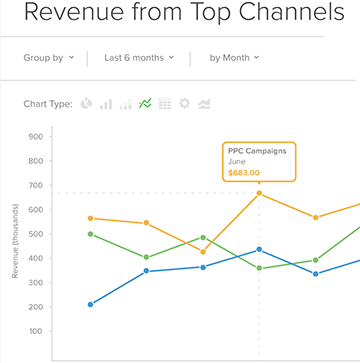 With all of the information provided, you can look for correlating trends in ROI. Cyfe is free to start, with a premium plan costing only $19 per month (or $14 per month if paid annually). Note: premium offers unlimited everything, including dashboards, widgets, and customization. 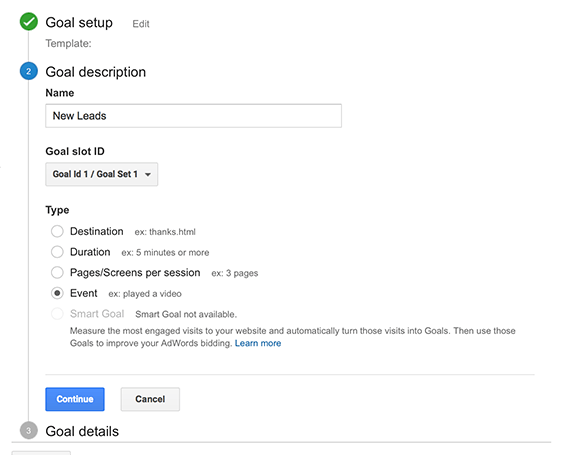 Google Analytics allows you to see where your traffic is coming from and how visitors interact with your site, including the visitors coming from social media. You can track the response to different social campaigns and see which are more successful at moving users to and throughout your site, as well as tracking specific conversions. Under the Social section, Google Analytics tells you how much of your traffic is coming from social media sites and which ones they’re coming from. Almost all major social media sites provide on-platform analytics that tell you how many users are clicking to your site or how many conversions your ads generate. However, you should still track social media activity, including ad campaigns, with Google Analytics. To get a more complete and accurate view of social ROI, you can use the Social Analytics section to set up goals to measure the value of the social referrals that come to your site. You can set up goals that measure certain types of actions, like how long a page was viewed or a video was played. 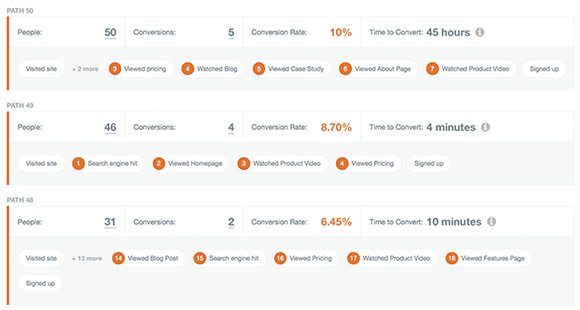 In addition, Google Analytics lets you track conversions by taking the whole buying cycle into consideration, so you can see which pages helped trigger conversions or which campaigns are working and why. Google Analytics provides valuable insights into which social media channels (and ad platforms) send you the most (and most relevant) traffic. As an added bonus, it’s free and easy to set up on your site. Not all ROI is purely financial. Social ROI is often defined as the engagement and relationships built with your customers on social media. Over time, this can accumulate into high engagement, leading to high social proof, which can capture the attention of new users and create new customers. It will also increase the loyalty and rapport your customers feel with you in the meantime. 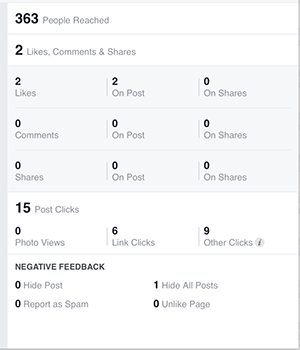 Facebook’s Insights shows you how many clicks, views, likes, comments, and shares you received on each post, as well as any negative feedback you received, all of which are important metrics to monitor. When it comes to social ROI (and even financial ROI, in some cases), the analytics tools from each social media site provide valuable information about the engagement happening on each of your posts, including clicks to your site, social shares, and for paid ad campaigns, conversion tracking. Twitter’s Analytics can show your engagement on Twitter and how it changed from the prior month. On-site analytics are currently provided by the following platforms: Facebook Insights, Pinterest Analytics, Twitter Analytics, and YouTube Analytics. Soon, we’ll also be getting access to Instagram Analytics, which we currently don’t have without using third-party services. YouTube’s Analytics provide you with information about average view duration, number of views, and estimated revenue that comes from your views. Tracking your social proof and engagement is an important part of measuring your ROI. After all, if you can run campaigns that are designed purely to get engagement on a post (or if you pay social media experts to continually create content), you need to determine if the social ROI that resulted was worth the money. Measuring and consistently evaluating ROI would be a massive headache if it weren’t for the five tools listed above and others like them. When calculating your most accurate ROI, however, you still want to add in all the necessary factors and costs. These can include the amount you’re paying for the campaigns, on social media tools (including contest, analytics, and scheduling software), and the social media specialists you’re paying to create content. Make sure to consider these costs and factor them in where necessary. The software and tools listed above can help you do the rest, and give you an accurate assessment of your true ROI. What do you think? How do you measure ROI? What costs do you factor in? Which tools have you used? Please share your thoughts, knowledge, and experience in the comments below! 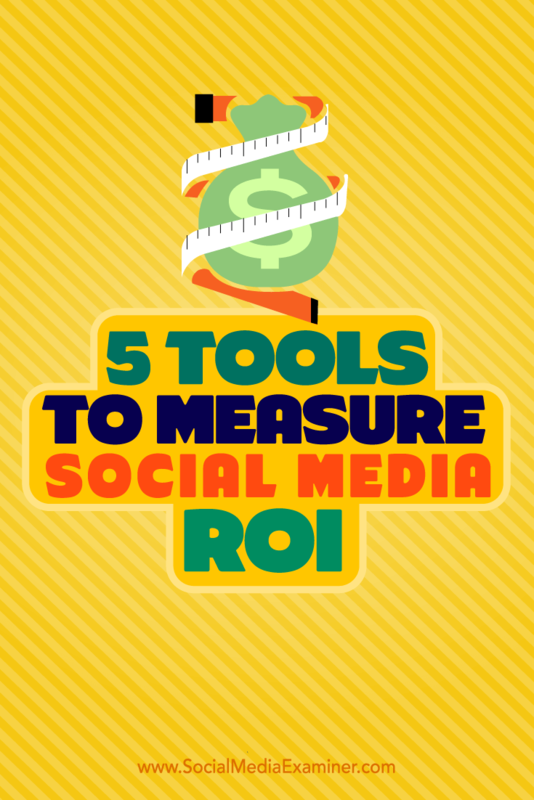 Tips on five tools you can use to measure your social media ROI.